PAW Gentle Ear Cleaner for dogs is a weekly ear cleansing solution for removing dirt and keeping pets ears clean. It removes dirt, debris and excess wax to prevent ear problems. It also stops ear odours and keeps ears fresh. 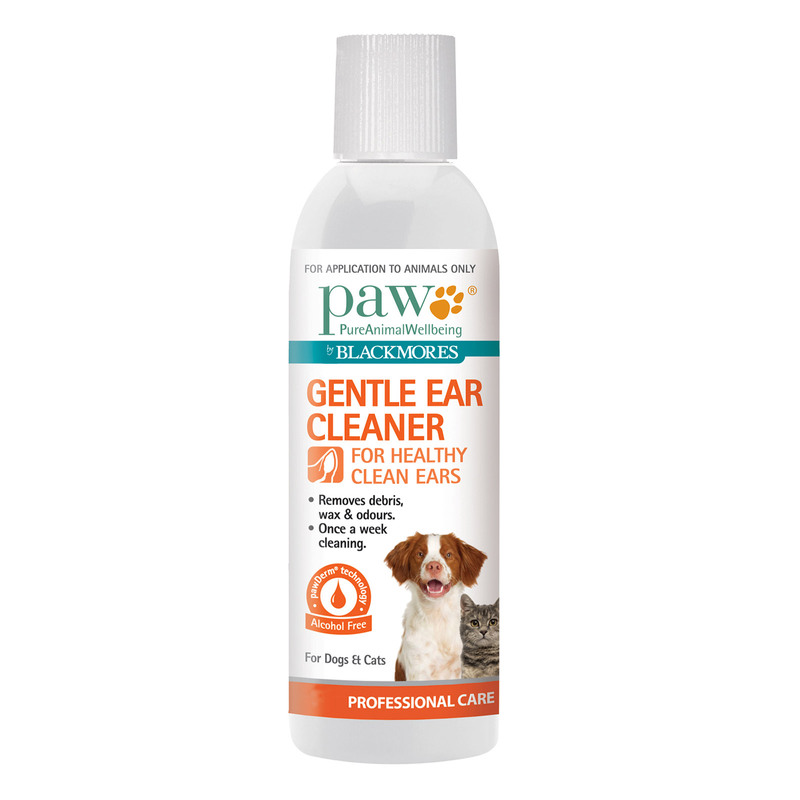 Gentle on ears, PAW Ear Cleaner keeps ears clean and is comfortable on the ears. Naturally blended with citrus oil and milk protein hydrolysates and deionised water, the ear cleaner removes debris and keeps ears clean. The unique formula reduces wax build-up and controls ear odour. Available in a bottle with a convenient applicator top, it is easy to apply. Administer once a week or as directed by your veterinarian. A highly effective product to clean dog’s ears. With no harsh chemicals, it is safe to use as ear cleaner, and it is comfortable for your pet. The unique formulation is required to be used once in a week only. It easily removes dirt and excess wax without causing irritation. Use as directed by a vet. Active ingredients Purified water, glycerin (vegetable), surfactants, panthenol, preservative, sodium gluconate, sodium citrate, sodium hyaluronate, hydrolysed oats, citric acid, aloe barbadensis leaf juice, citrus orange oil, prioctone olamine, mandarin orange peel. This is the most-effective product I have tried ever. Using PAW Gentle cleaner, my pooch’s ear infection is completely cleared up. Truly wonderful result. Puppies wiggle a lot so it is important to get products that you can use quickly and easily. Paws is a great all natural formula that I can use on even young puppies. I Love it! Got it for the first time. No issues with the product. Best prices and free shipping even for the small pack. Thanks vetsupply.